For the selection of our fabrics, we place high importance on the production process. Our textiles are manufactured according to strict environmental and social standards. Vathos Apparel uses 100% organic certified cotton which is grown without the use of toxic pesticides or fertilizers. During the dyeing process, only Global Organic Textile Standard (GOTS) certified colors are used. 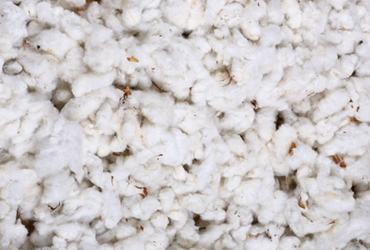 Organic cotton is durable, smooth, long-lasting and easier for the skin than normal cotton. By using organic fabrics we help reduce our environmental impact and improve the lives of textile workers around the world. In an effort to support fair and ethical trade we co-operate with individuals or businesses who carry out their activity within the framework of fair play and respect to human rights. We also adopt practices which inflict minimal or no harm to the natural environment. 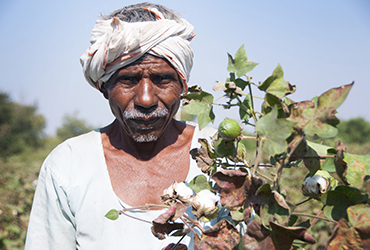 Therefore one of the businesses involved in our production and supply chain for the Spring/Summer 2016 Collection is an organic garments manufacturer & supplier in Tirupur in India. We also cooperate with a small family owned factories, which we chose in order to positively impact the lives and livelihoods of local producers. Being environmentally friendly is about making a series of conscious choices! Our packaging incorporates environmentally friendly materials and all of our boxes are made of 100% recycled paper! 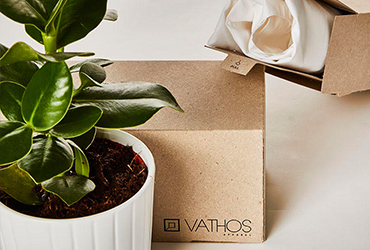 VATHOS APPAREL labels has been produced with respect to the environment and humanity. For our eshop deliveries we choose DHL. DHL, with its green products and services, tries to reduce climate-damaging CO2 emissions and other environmental impacts which occur during the transportation and storage of goods. They achieve this through the Go Green Solutions optimized transport routes, vehicles with alternative drive systems and energy-efficient warehouses.